On behalf of Admin of JML Law, A Professional Law Corporation posted in wrongful death on Friday, Mar 23 2018. If your loved one has recently passed away because of someone else’s negligence, recklessness, intentional wrongful act, or omission to act, and you are the deceased’s heir, you are probably wondering what damages can be recovered in a wrongful death claim in California. You can file a wrongful death claim in Riverside and other parts of California for various causes of death, including but not limited to car accidents, truck accidents, slip and fall accidents and other premises liability accidents, defective products, assault and battery, medical malpractice, and others. In fact, our Riverside wrongful death attorney reminds readers that heirs in California can file a lawsuit alleging “strict liability” if their family member was killed as a result of a dog bite or defective product (even if the party being sued was not negligent). Punitive damages (a sum of money awarded to the defendant at the court’s discretion for an amount that is usually considerably higher than the value of the economic and non-economic damages). Rare in wrongful death cases. In a nutshell, if you are suing someone for “wrongful death” in Riverside or elsewhere in California, you – as an eligible heir – may be entitled to receive compensation for the value of support – financial, emotional, physical, etc. – the deceased was reasonably expected to provide you with if he or she had been alive. The maximum life expectancy of you (as the plaintiff) at the time of your loved one’s death. Life expectancy is being determined by the jury and judges after taking into account all relevant information about your health, lifestyle, activities, job, and other factors. Since the outcome of the court’s decision on your or the deceased’s life expectancy depends on the validity and strength of evidence presented by you and the rest of the heirs, it is highly advised to be represented by a Riverside wrongful death attorney in order to maximize your compensation. What economic damages can be recovered? The value of household services your loved one would have provided you and the rest of the family. What non-economic damages are recoverable? 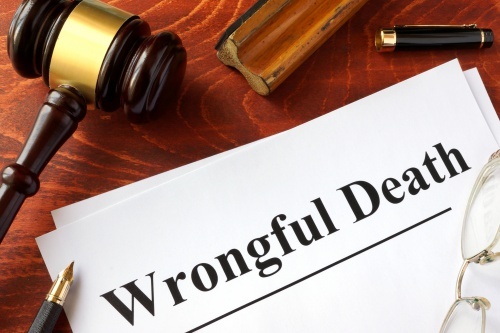 In a wrongful death claim, the plaintiff(s) will typically be compensated for the loss of moral support, emotional support, protection, society and companionship, affection, training and guidance, and sexual relations the deceased would have provided in his/her lifetime. Since juries and judges are usually guided by common sense and the evidence presented by the surviving family members when it comes to deciding the amount of non-economic damages in a wrongful death case, it is critical to be represented by a Riverside wrongful death lawyer in order to be able to maximize the value of recoverable non-economic damages in your case. Contact the JML Law to speak about your case right away. Get a free consultation by calling our Riverside offices at 818-610-8800 or send us an email.